Hand crocheted, cosy mittens with little smiley faces on the thumbs and strings for threading through your coat sleeves so you never lose them. 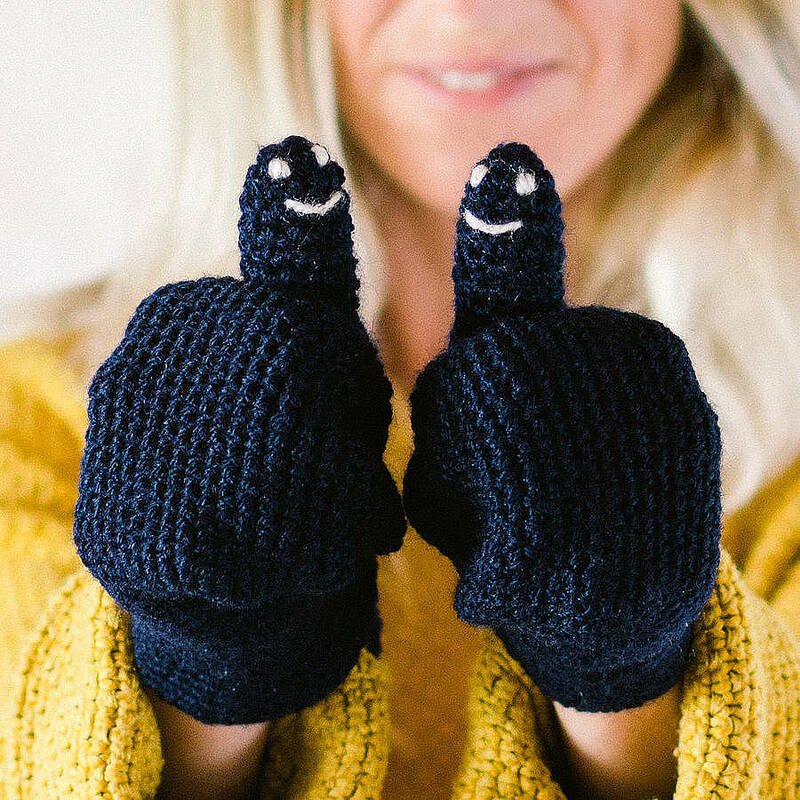 They may seem like any ordinary pair of mittens until you show people the little smiley thumbs, they're sure to put a smile on any sad face you come across. They are availalble in four different sizes ranging from baby to daddy sized. We also have two other designs, Hidden Snowflake and Hidden Heart, please click on 'see sellers complete range' to view these. Available in four great colours - Bright Red, Navy Blue, Topaz Blue (the bright blue colour in images), Grey and Plum. 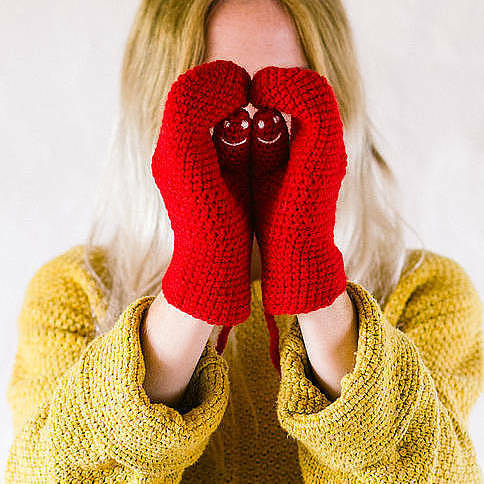 These mittens are made using acrylic yarn and can be washed in your machine or by hand, and then dried on a flat surface. 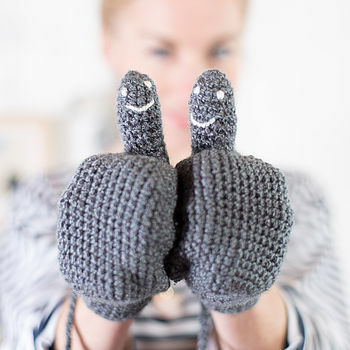 These mittens are crocheted by hand and not super stretchy like machine knitted ones, so please buy a size that allows for some space when worn. 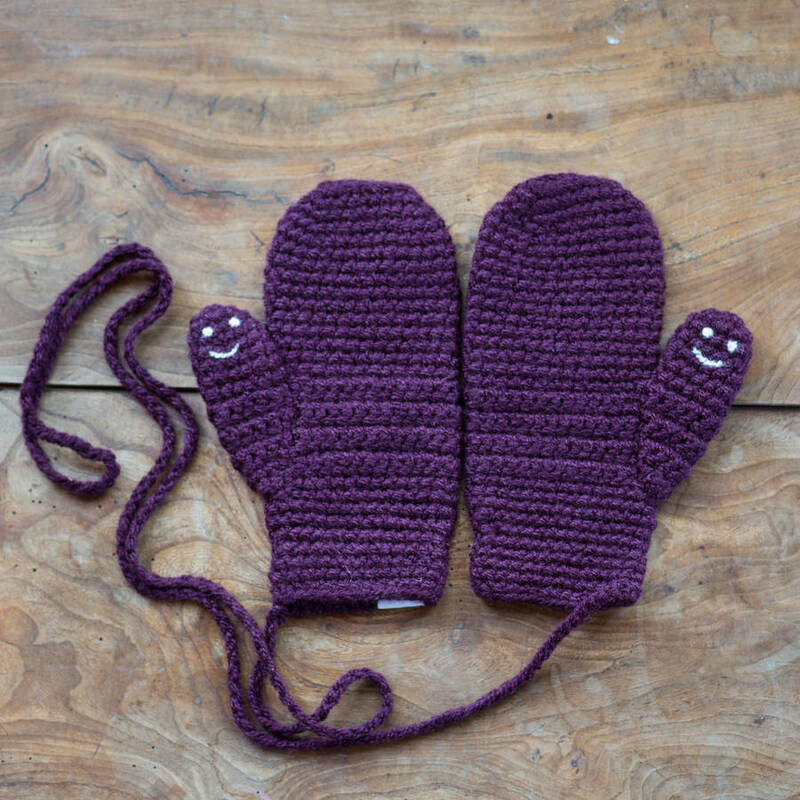 Small Child's (suggested size for 6months-2years)- 14cm full length including cuff, 6.5cm across the fingers, 3cm long thumb. XLarge (suggested for large adult male) - 26cm full length including cuff, 11cm across fingers, 8cm long thumb. 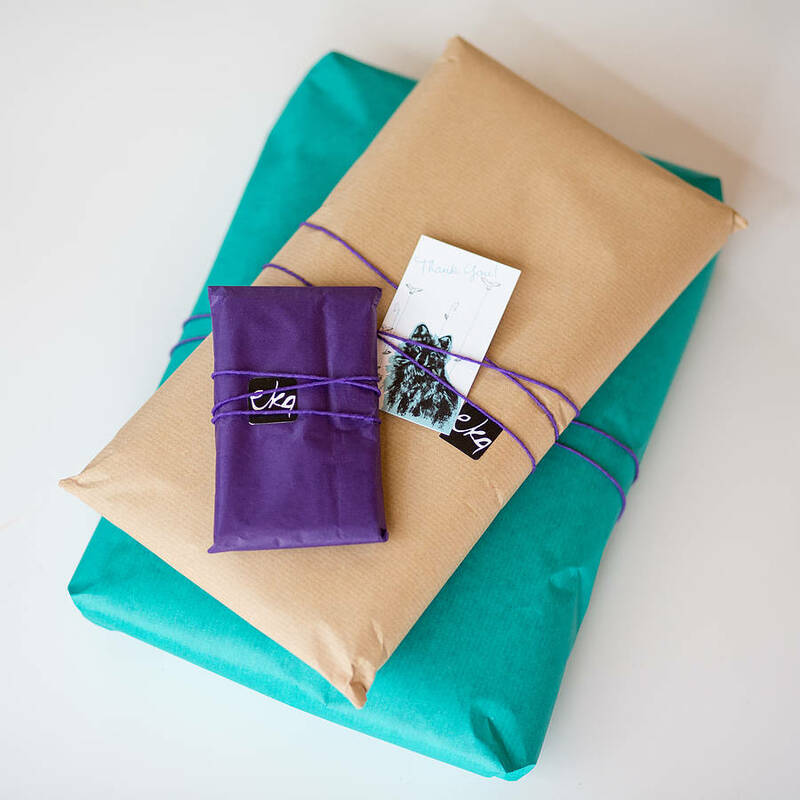 This product is dispatched to you by eka.